Swedish Volunteer There are 2 products. 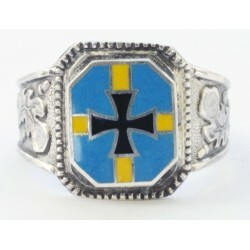 You can acquire this World War II period- German Swedish Volunteer ring with sharp details in a good condition. 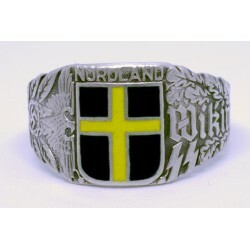 You can acquire this World War II period- German Swedish Volunteer ring with sharp details in a good condition. Very unusual design with detailed relief. It`s weight 8.36 grams. Front dimensions 14.34mm. X 10.65mm.